Native advertising is an advertising tactic that is earning increased usage as either a complement to, or an alternative for, display advertising. 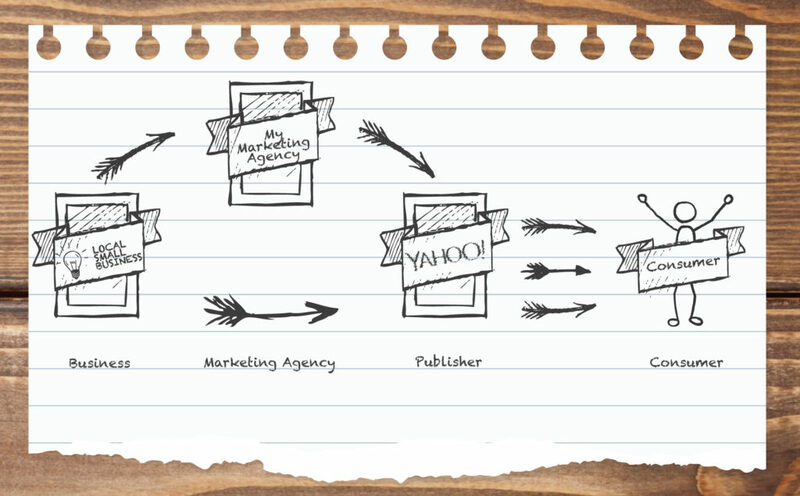 It’s also a concept that plagues much of the digital marketing community with varying degrees of confusion. Luckily for you, we’ll get into the gritty details on this new supplementary and possibly replacement advertising service a little more below. Native advertising is essentially a play on traditional display advertising (via banners and pop-ups), where advertisers have the opportunity to showcase their ads within the other content that publishing companies are already pushing out (be it Facebook or your local newspaper’s site). Advertisers contribute either a “sponsored”, a “promoted”, or a “branded” piece of content that generally still creates value for the reader, while also subtly alluding to or referencing the brand that is paying to have it shown. This allows companies to advertise for themselves in a way that truly creates value for the consumer while mitigating the frustrations that are often associated with pop-ups and banners. Need some examples? So did we. Depending on the platform it’s appearing on, native advertising can look and display differently. Let’s cover a couple common examples you may see (or provide) on a daily basis. Facebook is one of the most popular websites in the world, so it makes sense that native advertising is a popular appearance on the platform. As mentioned in my walkthrough, news provider sites are often the best place to find native ads that offer the greatest value to consumers. Due to the more subtle nature of native ads, they are generally classified as a top-of-funnel activity, meant to produce awareness, and potentially stir up interest. 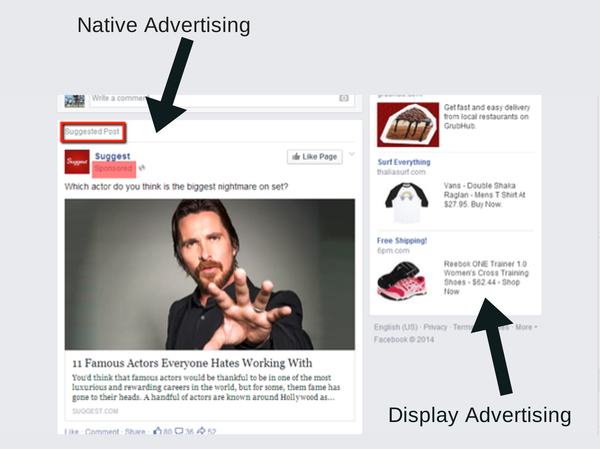 Who is Native Advertising For? Publishers. Publishers are interested because they will be showcasing these advertisements, whether they be digital or print format. Native ads also equate a growing source of ad revenue when many forms of display ads don’t seem to be quite as effective as they previously have been. Businesses (You!). Both small and large businesses are increasingly taking interest in using this newer form of advertising because consumers are beginning to associate display ads and pop-ups with “spam”. You may belong to any industry or vertical—an example being Capital One in the picture above. Marketing Agencies (Us!). Digital service agencies like Mpulse Communications are interested because this native advertising trend presents a new opportunity for us to provide the companies we serve with even greater value and variety in our offering. Our role is to write and strategize for the content and arrange to publish for the companies that we serve. Consumers. Every day consumers and business customers are the last natural component in the who equation. They value native advertising because (when used properly) it is a means of delivering value to them while also producing awareness for the brand utilizing it. It is more responsible marketing if you will, none of that black-hat stuff. Are you good and confused? I was too, but thankfully graphics can just about always save the day for the more visual of us learners. You likely noticed that there are two different equations within this graphic. The difference in these two equations is generally determined by whether or not the business in question has an in-house marketing department, or if they outsource their marketing to an agency. For example, our friends at Capital One likely have their own marketing department, so they wouldn’t need a marketing agency’s help. However, your local business might not have the same resources or time to fulfill your own native ad work, so that’s where Mpulse Communications can lend a helping hand! 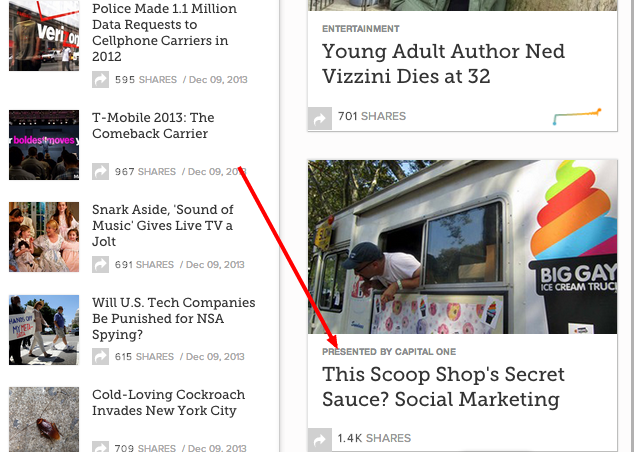 But back it up for a second, why should I be using native advertising anyways? The reality is that digital is mandatory today, and sometimes it simply takes a change of pace to add some flare to a tired marketing effort. Whether you’re on the publishing side, the business side, or the advertising side of the equation, you can create a balance between the traditional lines of display advertising and curating high quality, engaging content through native advertising. More traditional native advertising is a less-explored space than display advertising, but with consumers tiring of the “spam” and “brainwashing” of many display advertising campaigns, native is gathering momentum—fast. For publishers surveyed in 2016 and 2017, one of the greatest challenges surrounding native advertising was convincing advertisers to tell real stories. Likely the result of advertisers having a somewhat difficult time transitioning to this unconventional style of advertising. The good news is that this category has declined 8% since 2016, meaning that advertisers are getting the feel for things. When building a brand, it is very important to maintain a consistent story across all of the platforms that you are marketing and advertising, and the more platforms—the more exposure there is for a brand or a business. This activity is known as telling cross-platform stories. Native advertising might be one of the most effective ways to truly leverage a brands ability to tell a story due to the story-like nature of these ads. For example, it can be quite hard to tell a story in a 2 sentence Facebook post, but when you have an entire article, it makes it much easier to bring a branded story to life. According to some studies, click-through rates on native ads have been shown to reach nearly 4 times those of display ads. This may indicate that not only is native advertising a great complementary solution to digital advertising, but it may be able to replace current display advertising efforts to test for efficiency and improved advertising results. The growing native ad climate is the ideal time for marketing agencies and digital service providers to step-up and offer fulfillment to local businesses on this new realm of marketing. By outsourcing this content generation, local businesses don’t have to give up valuable time and resources in their day. Everyone can excel in exactly what they do best. 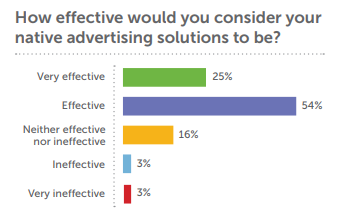 Visit Native Advertising Trends in News Media for the full study. If you are a local business and are ready to make take that next move, it’s pretty easy. You simply need to get in contact with our team at Mpulse Communications and see how we can get you involved in this promising space. By outsourcing this work, we can give you back valuable time in your day and our skilled team of content strategists is eager to fill those gaps for you. Contact us to learn more!